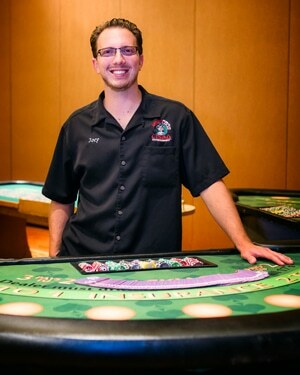 Hello, my name is Joseph and I have been working with Angela’s Casino for over a year now and I must say the experience has been one of a kind. 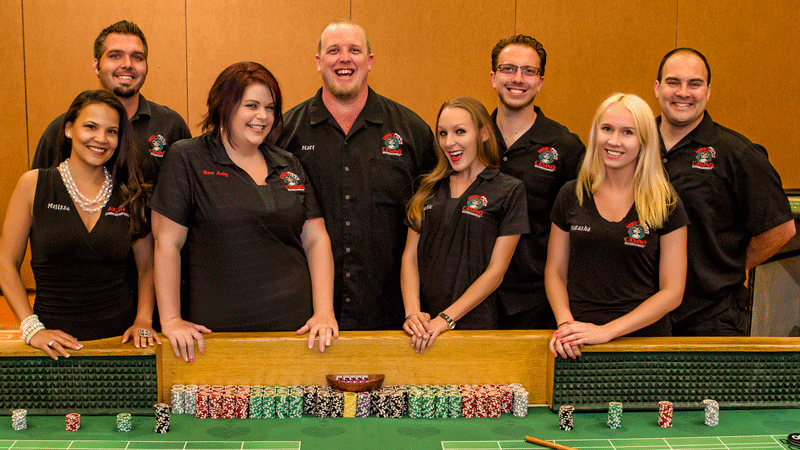 Between working as a dealer, a pit boss and as an event coordinator, I have been able to partake in all the fun and excitement that this company brings to each and every event and let me tell you it is truly something everyone should experience. I take great pride in making sure every client I work with, receives not just an incredible event but a lasting memory of a magnificent night. Besides being a part of this memory and interacting with great clients and guests during the event, my favorite part is hearing from the same people after the event and knowing that we were able to surpass beyond their expectations. Thus, if you are looking for that same one of kind experience for your event make sure to book Angela’s Casino for your next event and don’t forget to ask about our many other services that turn an ordinary party in to an Extraordinary Event!